Every fall, farmers, ranchers and beef producers leave the farm to make the journey to Edmonton for Northlands Farmfair International. Boasting the highest prize purse in Canada, Farmfair International offers more than $130,000 in prizing for beef programs alone. 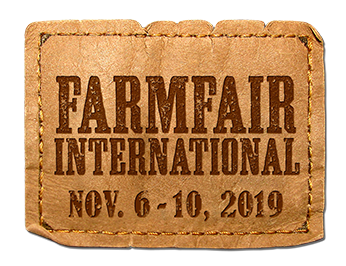 With more than 522,000 square feet of western entertainment including beefed-up cattle shows and sales, international buyers and RAM Country Marketplace, Farmfair International is definitely worth the trip. Exhibitors can move in starting at 8 a.m. on Monday, November 5. Prospect Steers and Heifers have to be moved in by Friday, November 9 at 8 p.m. Weigh-in for Steers will start at 6 p.m. Junior animals, if not already in the barns, need to be in the barns by Friday, November 9 at 8 p.m. The overall champion bull and champion female will be crowned at the Alberta Supreme. Once again, each owner wins a 2018 RAM truck! Cattlemarket.net’s Champions of the World celebrates British and European breeds. See the crowd-favourite Stock Dog Finals. NEW: Herdsman Award - each breed association selects their best all-round exhibitor to be awarded a cash prize! Enjoy the championship performance the 14th Annual Heritage Ranch Rodeo, back in its original evening slot! Tickets go on sale mid June 2018. NEW: Junior Futurity Beef with a larger-than-ever scholarship payout of $10,000. 4-H Day: 300+ 4H members from around the province attend with their families. Rodeo’s Future Champions featuring over 90 cowboys and cowgirls from 5-18 competing in rodeo events. Team Roping Futurity featuring up and coming rope horses. PLEASE NOTE: Final release time shifts to Sunday at 3 pm. We understand this change is big and we appreciate your flexibility in helping us give the youth programming the time, space, and attention it needs to grow. Contact agriculture@northlands.com for more information. Farmfair International is pleased to partner with the Olds Fall Classic and Lloydminster Stockade Round-up to create the Alberta Supreme Show, which will showcase breed champions from all three of the top cattle shows in Alberta to name two Alberta Supreme Grand Champions. Top bull pens will go head to head for top honours as they compete in Pens of 3 and 5. Up to $7,500 in prize money is up for grabs! Returning for 2018 is the Commercial Cattlemen’s Day lunch – tickets for lunch can be purchased for $10. CFCW and Northlands are pleased to present Calves for Cancer in support of the Cross Cancer Institute at Farmfair International this year. Open to all Hereford breeders exhibiting in the FFI National Western Hereford Show, this program is for bulls born in 2017 & 2016. Featuring young agriculture enthusiasts ages 5-21, the event allows junior exhibitors to showcase their cattle herds. This grand prize title is up for grabs as breeders enter their bull and heifer calves in the hopes of having the best of all breeds. Farmfair International will be hosting an Open Steer and Heifer jackpot show featuring percentage and calendar calves. One of Canada’s ideal destinations to conduct business in the beef cattle industry, Farmfair International features top quality genetics from purebred and commercial breeders.